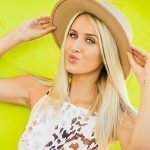 Comprehensive review of Paula’s Choice Resist Intensive Wrinkle Repair Retinol Serum. See how this retinol cream compares against other wrinkle creams! Paula’s Choice Resist Intensive Wrinkle Repair Retinol Serum is not my favorite product. It’s not as if I experienced any negative side effects from this serum, but I also didn’t see any dramatic results. I feel as if this product would never “hurt” you. It’s very mild and it never irritated my skin. Paula’s Choice made my skin look slightly more hydrated and smooth, but that’s about it. I liked that this serum was truly 100% fragrance free. The price point was decent which makes trying it not huge deal, and they also offer a great satisfaction guarantee which is awesome! However, I was not impressed with this product overall. 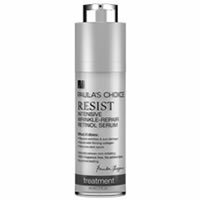 Paula’s Choice Resist Wrinkle Repair Retinol Serum is a lightweight serum. It’s completely clear, almost “gel like”. It almost reminded me of an aloe gel with its texture. Applying Paula’s Choice is really simple. After you cleanse your skin at night, you apply a thin layer all over your face and neck. I used this product every night before bed. Thankfully, this product dries fairly quickly. Once it hits your skin, it begins to absorb, and then within 30 seconds it’s dry! Your skin feels slightly dewy after you apply it, but never overly greasy. This product truly is 100% fragrance free. Many products claim to be, but still have a slight order to them. I always enjoy using a product, especially before bed, that has a relaxing aroma to it. This was clearly not the case with this serum, however, the fact that there was no smell at all was a plus which I’m sure some of you will appreciate. After waking up the next morning after using Paula’s Choice Resist, I didn’t really notice a change. However, I didn’t have any negative reactions either. My skin looked a little smoother, but that was about it. Longer term I didn’t really notice any dramatic changes to my skin. My skin texture seemed a bit better, and my lines seemed slightly softer in appearance, but that was really it. My skin never looked bad and never reacted poorly to this serum, so that is always a plus, but I wasn’t wowed by the results. My skin seemed a little bit more toned after use, but again nothing super noticeable. Paula’s Choice Resist Wrinkle Repair Retinol Serum contains retinol, however a very mild amount. 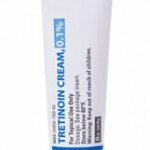 I never experienced redness or dryness while using this product and the amount of retinol in it is probably why. It also contains palm oil. Palm oil tends to be a controversial ingredient. On the one hand, palm oil usage is said to hurt wildlife, especially orangutans, so many people boycott its use. On the other, it’s actually very hydrating and can provide great benefits. I think that this ingredient is another reason why my skin remained so hydrated, and seemed so smooth while using this serum. A one ounce tube of Paula’s Choice Resist Intensive Wrinkle Repair Retinol Serum costs $34.00. This is right around the average cost for a retinol product. I don’t think that the price is the issue, but more so the fact that I didn’t see great results, so then it wasn’t really worth the money spent. A full refund is given if the product is returned 60 days from the purchase date. If it’s after that time, they issue an online credit that can be applied to future order. If a product is returned only partially full, even within 60 days, only an online credit will be issued. To buy Paula’s Choice Resist Intensive Wrinkle Repair Retinol Serum, click here. Texture/Feel It’s completely clear, almost “gel like”. Application After you cleanse your skin at night, you apply a thin layer all over your face and neck. Drying Time Once it hits your skin it begins to absorb, and then within 30 seconds, it’s dry! Smell This product truly is 100% fragrance free. Short Term Results I didn’t really notice a change. Long Term Results My skin texture seemed a bit better, and my lines seemed slightly softer in appearance. Guarantee Yes, Paula’s Choice offers a 100% satisfaction guarantee. Price It’s $34 for 1 oz… average for a retinol product. 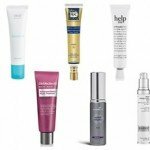 « Should You Use Retinol and AHA Together?